While I was basking in the warm evening sun writing this, I could hear the sound of the chaff cutter. Naveen was busy cutting the fodder for cattle and his mother was feeding the livestock. Kamla, Naveen’s wife, was preparing dinner for the family, I could smell garlic tadka in the air. His sister and cousin were busy in the farms and Doggy and Sheru, the pet dogs, were strolling around keeping a careful watch around. It’s been just 2 days that I was here at Kyari Village Homestay, and it felt like my own home. I was so much a part of their daily routine. The little girl Lakshita comes from school and shows me all she the work she did in the day, Kamla shares her life so freely with me like we were age old friends and auntyji, Naveen’s mother, took care of me like her own daughter. I felt as if I was transported back to my childhood living in a joint family! First day I went for the village walk. Kyari is a small village of about 100 houses and their main occupation is farming. 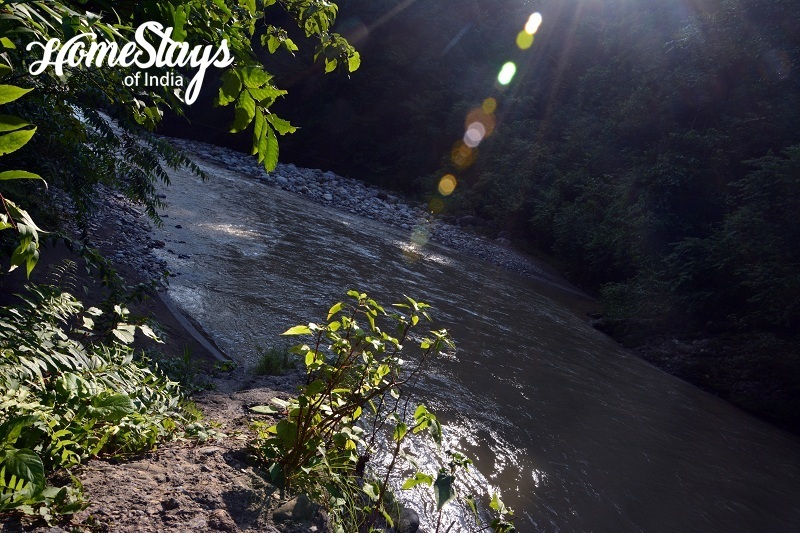 It comes in Pawalgarh Conservation Reserve which is a part of Corbett Tiger Reserve. Khichri River is it’s lifeline. I could feel the content laid-back lifestyle of the village. It was a treat to my tired soul to roam around in the village and soak in the quiet and peace of the place. Much of my time here was spent reading and relaxing by the banks of River Khichdi which is 5 minutes walk from the house. I loved to spend my evenings with the family, interacting with them, helping them with their daily chores and experiencing the Kumauni way of life. Whatever they do in the day time – study, job or housework, evening is dedicated to the farms and the cattle. On the first day, I was amazed to see Naveen’s sister, soon after she came back in formals from her job, she changed into comfortable clothes and went straight to the farms to help her mother. The evening time was for the whole family to bond together while performing the farm activities. And I loved to be a part of it all. 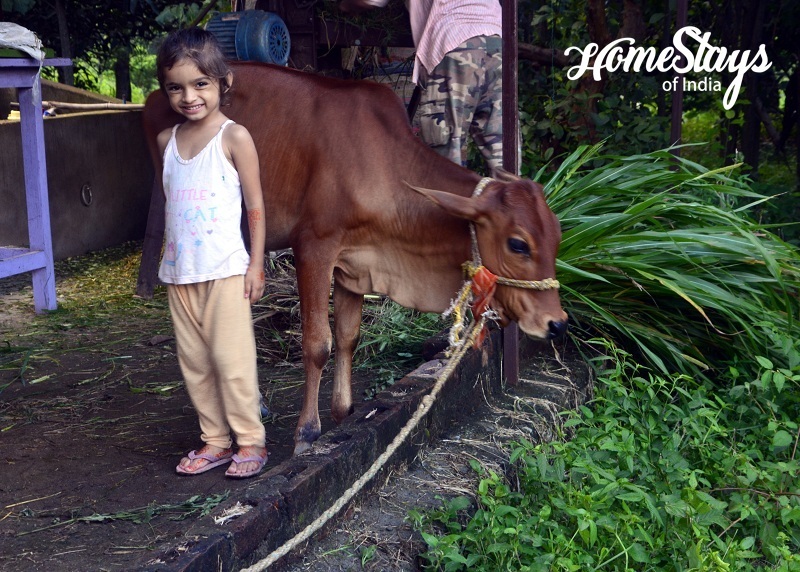 There was also an option for me to go on Jungle safari or indulge in adventure activities that Naveen could organise, but I chose to just relax in this super cool village home with pets, cattle and the family. The best thing about the stay is it’s just 4-5 hrs drive from Delhi. So whenever I want a break from hectic urban life, I can rush to Kyari Homestay and be a part of slow rural life!